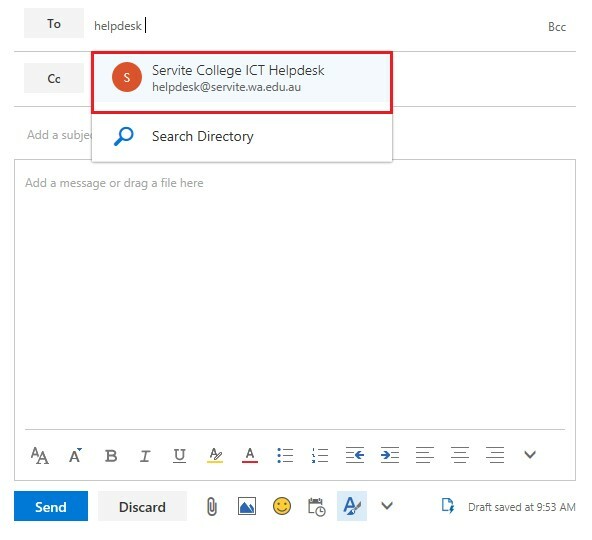 A simple way to find an email address is to look them up in the Contacts Directory in Outlook. 1. First, open up Outlook and click on New Email. 2. Enter the name of the person you are looking for in the To field. A dropdown list of relevant people and their email address will appear. Select the Email Address you looking for.